Te Kawerau A Maki’s declaration of a rāhui over the Waitakere Ranges has attracted a great deal of attention. I am glad to say that the overall response to the rāhui that I have experienced is one of respect. Many people have committed to observe the rāhui, myself included. I agree with the sentiment that until the forest is healed we should not walk anywhere that may risk the spread of kauri dieback. The problem is of course that we are amongst the ones most likely to clean our shoes and observe hygiene protocols. But the reduction in pressure on the tracks will be helpful. I attended the ceremony placing the rāhui recently held at the Cascades. Aunt Agatha, the towering Kauri near the start of the track was the centre of attention. Sadly she is infected with kauri dieback and is dying. I understand completely Te Kawerau A Maki’s motivation in laying the rāhui. To be frank Council has reacted too slowly to the crisis, and it is a crisis. No individual should be blamed, it is a system problem, but it is still a problem. An example is that the data and draft report concerning the latest round of testing for Kauri dieback was available in November last year. I was part of urgent meetings held last December. Yet publication of the final report took until August of this year and we are only seeing now the roll out of major changes to how the park is managed. The Environment and Community committee of Council considered the issue recently. It wanted to formulate a response to correspondence received from Te Kawerau A Maki and to work out what changes should be made to current management of the park. The local board took the opportunity to attend the meeting en masse and to present what we thought was the optimal approach to take. Despite time pressures on the Committee I was generously allowed twice the normal speaking time. Following is a synopsis of what I said to the committee. Regrettably the Waitakere Ranges is the most heavily affected area in the country. The recent Kauri Dieback report prepared by Council shows a clear correlation between tracks, watercourses and baitlines and the spread of the disease. The correlation is startling and unmistakeable. * Status quo is not an option. Both of these options clearly will fail. * The recommended option (slight improvement) was deficient because there is a need to quarantine areas where dieback is prevalent and close tracks where there are healthy Kauri. * Option 4 was closest to what is needed to protect Kauri but still allow some use. * We did not think that full immediate closure of the Ranges was workable. I included two maps in the submission. The first shows the presence of Kauri disease which has been spreading like a cancer along the tracks. Red dots are infections in 2011. Black dots are infections in 2016. It is clear that most of the infection is spreading along the tracks. The next map shows tracks of no, low, medium and high risk. Option four requires the medium (yellow) and high risk (red) tracks to be closed. The board spent a great deal of time considering Te Kawerau A Maki’s placing of a rāhui over the Ranges. We understood completely their motivation for imposing the rāhui. There have been too many delays, including delays in releasing the Kauri dieback report. I believe that the rāhui presents an opportunity to urgently address the crisis affecting Kauri and is a perfect tool to educate Auckland of the severity of the situation. The board’s view is that option 4 properly implemented is not inconsistent with the principles of the rāhui in that Te Kawerau A Maki is prepared to allow “rolling openings” of low risk areas. Option 4 speeds this process up. BUT, and I should emphasis this, I would prefer that Te Kawerau A Maki agreed with the categorisation of the tracks. It would help if there was a meeting of Council and Te Kawerau A Maki to look at the track categorisation and see if consensus can be reached. * Urgent work on tracks to improve drainage and increase number of boardwalks as well as rerouting away from Kauri. * Install more hygiene stations along tracks, not just at track entrances. * Install DOC designed high quality stations at key sites. * Check station coverage. For example there are no cleaning stations at Beveridge Track even though it is considered to be a high risk track. * Provide maps and brochures (including online)with up-to-date information about kauri PTA and closed tracks. * Promote non-kauri tracks on and off regional parks. * Stop all sporting events through the Waitakeres. * Work with concessionaires to re-site tourism activities. * Work with ATEED to halt all promotion of the Waitakeres. * At a minimum double kauri ambassadors in the Waitakeres from 6 to 12 and extend their period of employment. * Work with local communities to identify low risk areas for exercise and recreation. * Filming only to occur in non-kauri locations. * Develop a “good visitor” code of conduct for Waitakere. * Prohibit dogs anywhere in Waitakere Ranges off-leash. Our presentation ended with the photo below of Aunt Agatha which is the most prominent Kauri in the Ranges but has succumbed to Kauri Dieback. I said that we do not want to be at another meeting in another 5 years discussing another report that shows a further spread of this disease through the Waitakere Ranges. We need urgent effective action now. Since the meeting I have written to Councillor Hulse reemphasising our proposals and also suggesting there should be added resources for pig hunting in line with a suggestion Jack Craw has made. I also suggested that ongoing engagement with Te Kawerau A Maki about the rāhui should occur and there should be a high level governance group to oversee action and maintain momentum. Councillor Hulse has responded positively to these suggestions. The announcement has not gone completely smoothly. An initial 13 tracks were identified in the report for closure and since then a further 17 tracks have been identified for closure before christmas. But there is some local concern that not all medium and high risk tracks will be closed. Can I just say that my clear understanding of the resolutions is they will and will remain closed until they can be made safe. The Mayor has released his proposal for Auckland Council’s ten year long term plan. He is endeavouring to keep the “core” rate rise next year to 2.5% in line with his promise made during the election campaign last year but has acknowledged that if we are going to do something significant about environmental damage that is happening then more resources will be required. He has proposed that there be a “targeted protection” rate. There are two options presented. The first will raise an additional $123 million and require an environmental levy of around $21 a year, or 40 cents per week, for the average residential ratepayer. Staff analysis is that this will result in a “slowed decline” of Auckland’s natural environment and a 30-50% risk of kauri dieback spreading. 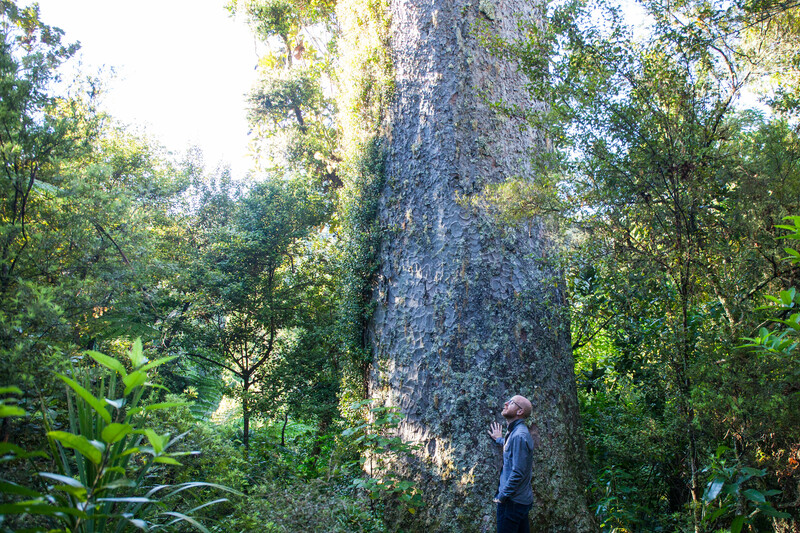 Council staff believe that currently planned levels of spend on environmental matters will result in ongoing decline in environmental quality and extinction of some species, with the risk of Kauri dieback spreading being assessed at over 80%. The other option, titled “enhanced protection and restoration” would raise an additional $356 million of rates funded budget and require an environmental levy of around $60 a year, or $1.15 per week, for the average residential ratepayer. This will allow “protected and enhanced priority areas and species” and the risk of kauri dieback spreading is estimated to be 10-20%. Approximately $84 million over ten years will be spent on the disease including track upgrades. A second targeted rate is for water quality purposes. The Mayor is proposing a regional Water Quality targeted rate to fund Healthy Waters’ part of the Water Quality Improvement Programme. The intent is to achieve an 80% reduction in waste water overflows within ten years. Under current plans this is well over 20 years away and the Mayor wants to spend the money now to accelerated this. The proposed rate is less than $1.30 per week or $66 per year for the average residential ratepayer. The Waitakere Ranges Local Board area has the dubious characteristic of having more polluted areas than any other board. Five of our Manukau Harbour beaches and three of our west coast lagoons regularly have long term water quality alerts. This is half of the total problem areas in the region. There are various reasons for this but for most of the Manukau Beaches infrastructure is implicated. The Mayor’s suggestion work be performed on contaminant reduction is helpful. It is clear that the primary cause of pollution in the Manukau Harbour is failing sewerage infrastructure and the sooner this is fixed the better. The draft ten year budget is being prepared for consultation. The local board will have a role in the consultation process. These particular proposals are very important to the west and I will be urging everyone to support them. The local board were present when the Titirangi Library reading deck was recently opened. We had the pleasure of a performance from the Titirangi Primary Kapa Haka group. As kaumatua Fred Holloway noted they may have been the most blue eyed and blonde kapa haka group he has seen but they performed extremely well and their haka was extraordinary. It made me reflect on the quality of our local libraries which also includes the Glen Eden library. Both institutions perform outstandingly well and are a tribute to our staff. And libraries are a cornerstone of our civilisation. The accumulation and dissemination of knowledge only took off when Libraries first appeared. The Henderson Massey and Waitakere Ranges local boards had a very helpful session at Hoani Waititi marae concerning Maori engagement. The sessions were run by Joe Waru and Kim Penetito. They were well designed and provided very helpful insights into how to properly engage with tangata whenua. The first thing is to front up and to talk. And listen. The second thing is to be respectful. These two basic ideas will ensue that any discussions with Iwi will be fruitful. This has become a firm fixture of Glen Eden’s social calendar. A number of groups are involved, including the Glen Eden Protection Society, the Glen Eden Business Improvement District, and Glen Eden Community Patrol helped out. Gayle Marshall, who has been involved ever since the parade started, once again starred as Mrs Claus or whatever the current version of that description is! Congratulations to all involved. And immediately following the Glen Eden Christmas Parade was the Titirangi Glow festival. This is a more recent event but it also has a dedicated group of people who want to make Titirangi an enjoyable place at Christmas time. The aim is to light up Titirangi and to have an evening event of celebration. They rely on the Titirangi Fire Brigade a great deal and they also receive significant support from the local business community. The Local Board has helped with funding in the past couple of years. I am suggesting that we meet in the new year with the group who organise the event to make sure that the event can continue in the future. We had our last meeting of this group for year recently. The combined ratepayers meeting involves representatives from throughout the Waitakere Ranges and it is probably the most important chance that we have to discuss matters with local communities. It is ably chaired by former Waitakere Community Board chair Kubi Witten-Hannah and assisted by the legendary secretary Mels Barton. We were pleased to have Deborah Russell, MP for New Lynn and Chris Penk, MP for Helensville present at the meeting. A number of issues of interest were discussed including fireworks in the ranges, kauri dieback and a number of Council associated matters. Hopefully this can continue so that the lines of communication between local communities, the local board and central Government can continue to be strong. And finally I attended the last citizenship ceremony of the year this week. They are always very similar although often subtly different. Every ceremony I have been involved in has included Papa Fred Holloway. He is a kaumatua who gives the ceremony a very gentle but inclusive feel. His presence highlights the importance of Maori culture. During the ceremonies I am given the opportunity to welcome everyone and to urge that although they are now citizens of a new land their culture is important and should be retained. Then there is the formality of everyone pledging oaths of allegiance, the handing out of citizenship certificates and high fives with the young new citizens. Then after that is the boisterous singing of the national anthem in te reo and english and then an acknowledgment and celebration of all the different nationalities present. The ceremonies are always touching. It is clear that new citizens publicly pledging allegiance to New Zealand is an emotional matter for them and a very important ceremony. Seeing all these new New Zealanders with smiles on their faces is one of the best parts of my job.